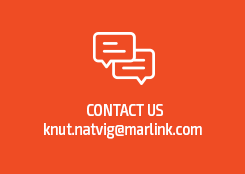 Bergen/Paris, 4 September 2017: Bergen headquartered Grieg Star has chosen Marlink’s Sealink VSAT Premium for its entire General Cargo Open Hatch fleet of 33 vessels. Operating on multiple routes world wide, Grieg Star’s ships will benefit from seamless, high bandwidth global VSAT services with unlimited L-band back up included in the fixed monthly fee, ensuring continuous availability of vessel and fleet efficiency enhancing applications. Grieg Star’s decision to enable its digital operations with Sealink VSAT Premium, also with focus on improving crew voice and data communication facilities, was made following extensive three month sea trials involving multiple service providers. Marlink was selected as the preferred provider based on Grieg Star’s experience of the high throughput, reliability and market leading global coverage provided by the Sealink multi-band network during the trials. In order to ensure full optimisation of its new Sealink VSAT Premium service, all Grieg Star vessels will also have the XChange centralised IT and communications management system installed as a solution managed by Marlink, which will significantly reduce the technical and administration burden for officers on board and IT staff ashore. As part of a new managed service approach for XChange, Marlink will provide consultative services on the integration of its technology into Grieg Star’s shipping and logistics operations, supporting the company’s strategy to establish operational and financial efficiencies through the use of digital applications for i.e., condition based maintenance and monitoring. XChange is also the foundation for Grieg Star to improve its crew welfare offering throughout its fleet with the use of the XChange Bring Your Own Device (BYOD) solution, which enables crew on-board to access the Internet and call friends and family via Wi-Fi from their own smartphones, tablets and laptops. We experience the ever growing need for connectivity onboard both for crew initiatives and from an operational point of view, and now is the time to fully embrace digitalisation, said Jan Øivind Svardal, COO, Grieg Star. Following extensive testing, we are confident that with Marlink as a partner, we can focus even more on digitalisation to ensure that our fleet operates as efficiently as possible. With our Sealink managed services, Grieg Star has made an important step in its digital evolution, which will ultimately result in improved operational efficiencies and better services to its customer base, said Tore Morten Olsen, President Maritime, Marlink. We look forward to become a partner of Grieg Star as the industry becomes more and more digital.